Beef has a different content in macronutrients depending on the age of sacrifice and the part consumed. Its content in high biological value proteins is outstanding. The leanest parts have around 6 g. of fat per 100 grams of complete food, whereas those with higher lipid content have in excess of 20 g. per 100 grams of food. Amongst the minerals, it principally provides haem iron as well as zinc, both of great bioavailability, magnesium and phosphorus. It is also a meat which stands out for its group B vitamins. 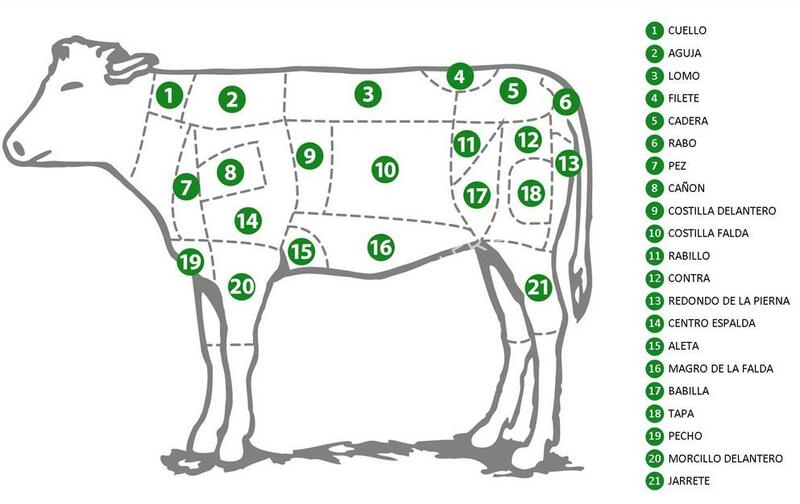 The energy content and nutrients of the different parts of beef are presented below.